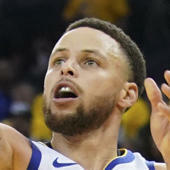 Beasley is listed in the starting lineup for Sunday's game against the Clippers, Harrison Wind of BSNDenver.com reports. Beasley will start his ninth straight game Sunday and is averaging 19.9 points and 2.4 rebounds over 31.8 minutes while shooting 53.2 percent from the field in that span. Gary Harris (groin) returned to action Friday against Mavericks with 21 minutes but the team doesn't plan to return him to the starting lineup while still on a minutes restriction. Beasley is likely to remain in the Nuggets' starting five until Harris can be fully reintegrated into the rotation.